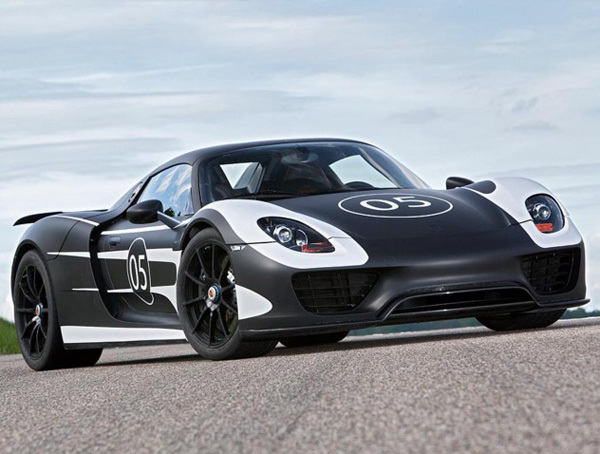 As one of the most anticipated hybrids ever conceived, Porsche has released a new set of images of its 918 Spyder prototype and announced that it has begun testing… which, at this point in development, seems obvious. With production slated to begin in September 2013, Porsche expects first deliveries to hit showrooms by end of that year. The world’s first plug-in hybrid supercar will be powered by a 570-hp mid-engine 4.6L V8 augmented by two electric motors — one powering the front wheels and one powering the rear. 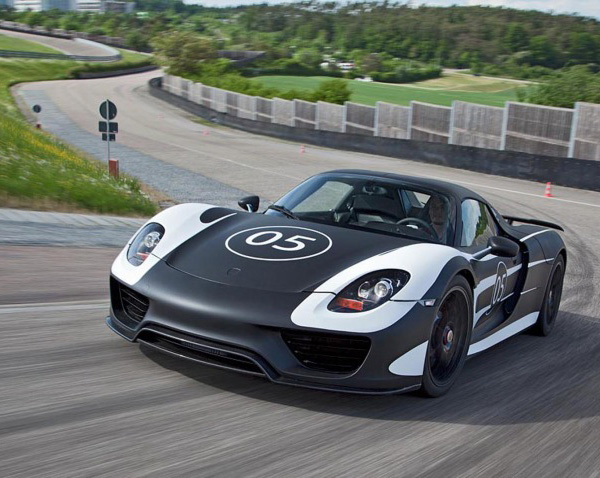 Built on a carbon fiber monocoque chassis, Porsche claims the 918 Spyder will boast over 770 HPs (gas + electric motors) and 553 lb-ft of torque, while still notching an otherworldly 74 MPGs. 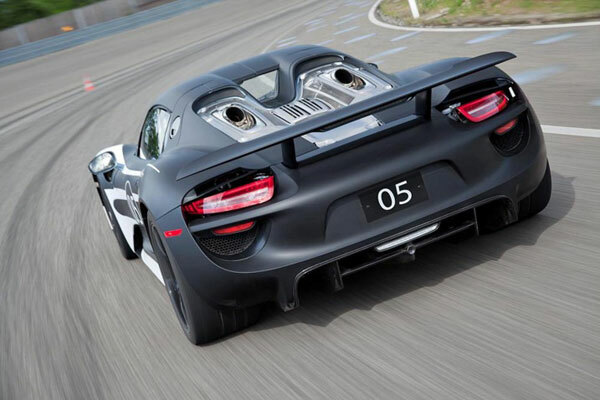 Porsche is also reportedly experimenting with a new “Hot Lap” mode that could raise torque to over 700 lb-ft — allowing the 918 to notch a 0-60 mph time in under 3 seconds. Even with Ferrari working on its hybrid and Audi’s all electric e-TRON in the works, it seems the 918 will be tough to beat in the eco-minded Green Supercar segment.